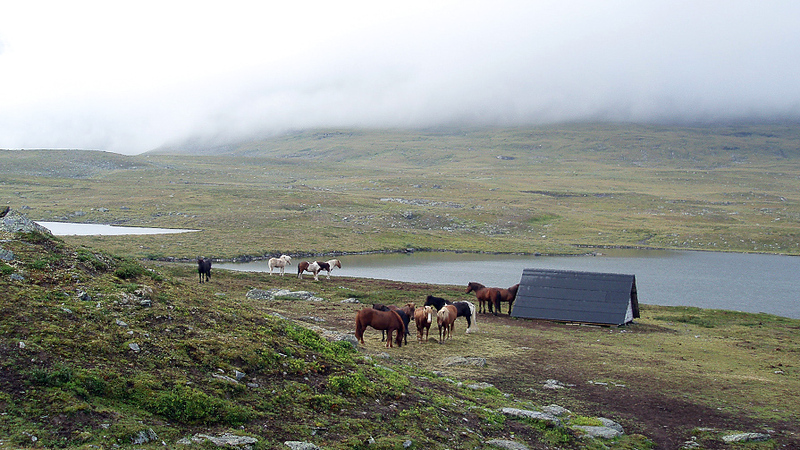 Three days on the mountain by Icelandic horse. Six Swedish miles of riding in the unique nature of the Vindel Mountains. Accommodation in mountain hut and cot with open fire. The food is prepared mostly with locally produced prime products with ingredients of game meat. On arriving at Ammarnäs and Fjällhästen’s hostel you check in. Dinner is not included in the package this evening but restaurants in Ammarnäs are open. We have breakfast at the hostel and then gather at ten o’clock for briefing on the upcoming days on the mountain. We thoroughly go through the equipment and how it should be packed in pack roll bags that you borrow from us at Fjällhästen. We look at the itinerary and answer every question prior to the tour. After the briefing we pack and have lunch in Ammarnäs around noon. 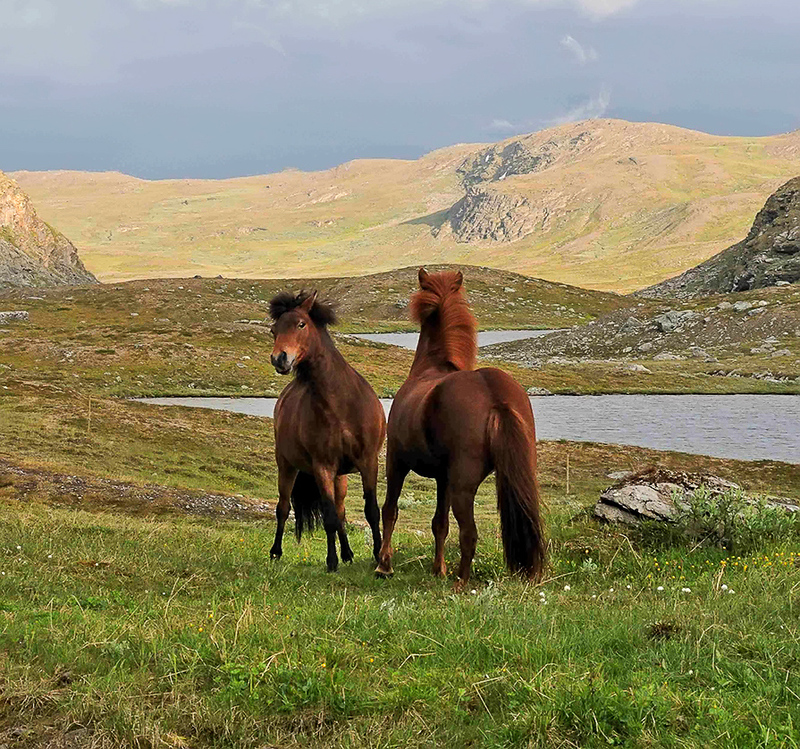 After lunch we depart directly for our horses which we prepare for riding to the destination of the first leg which is Fjällhästen’s camp Tjaskal, to which it’s about eight kilometres of riding. From Tjaskal we proceed up on the bare mountain. We ride towards northwest along the mountain Stuore Jåppe and below us is the bird protection area Marsivagge. Here there are plenty of birds which you might not see so often otherwise and if we’re lucky we might see the Golden Eagle as we ride by. We try the different gaits during the day’s ride and after 22 kilometres we reach the lake Lule Skeblejaure and Fjällhästen’s permanent cot. We turn back through Skeble valley and up on the elongated mountain Jåppen/Gieråive. During the 22 kilometres ride we naturally try the Icelandic horse’s different gaits before we get back to Tjaskal for the finishing night on the mountain. After breakfast we ride down towards Ammarnäs again and are back at noon after a trip of eight kilometres. Shower and sauna are available at the hostel after the riding tour. 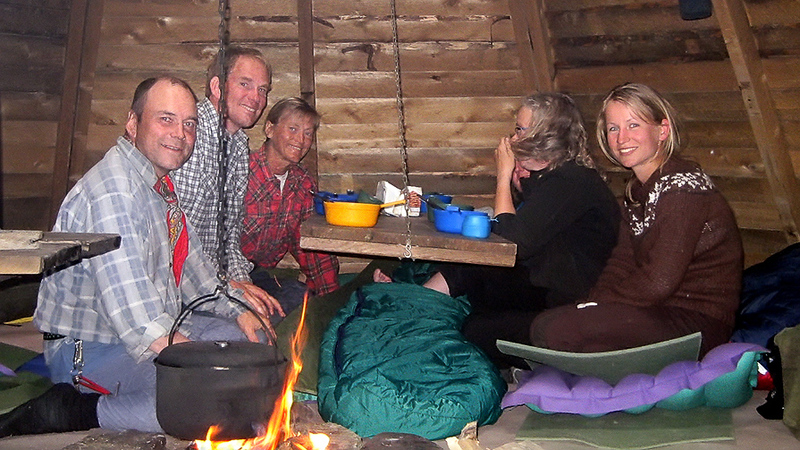 The guests who want to stay in Ammarnäs after the riding tour can book accommodation with Fjällhästen. 7 450 SEK per person. 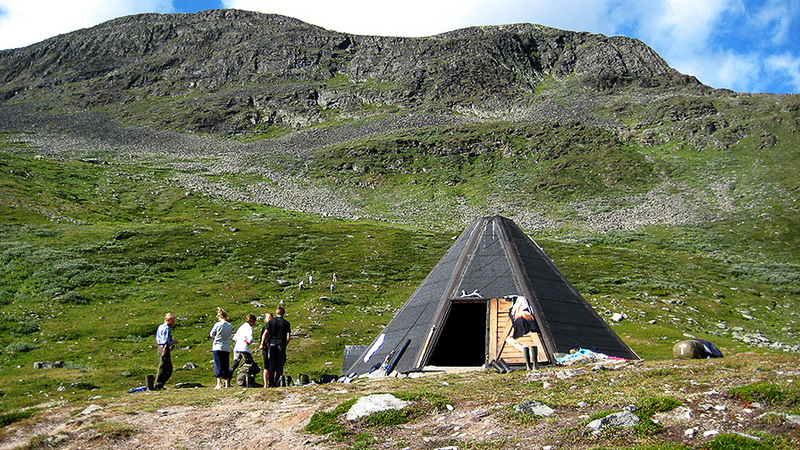 The price includes horse, guide, food and accommodation in mountain hut/cot and at Fjällhästen’s hostel including breakfast.